India's North-East is an exciting melange of various tribes and cultures. Their flavors and dishes are as unique as their colourful way of life. Most of their dishes use simple and flavourful fresh ingredients like Bamboo Shoot, Bhut Jolokia and local greens. Though most dishes consist of meat, it is interesting to note how these are very light and lip-smackingly enjoyable. The dishes are prepared with Mustard oil to intensify the flavour. Any Assamese meal is incomplete without delicious Khar. This unique dish is prepared with raw papaya, pulses and a main ingredient. All these ingredients are then filtered in water through dried banana ashes for a flavour that is most unusual and refreshing. It is a rich dish generally consumed with lunch. This sumptuous delicacy from Assam is a duck meat curry cooked with Ash Gourd ( lauki ), and is reserved for special occasions. The use of whole spices, especially crushed black pepper, gives this dish its unique flavour. 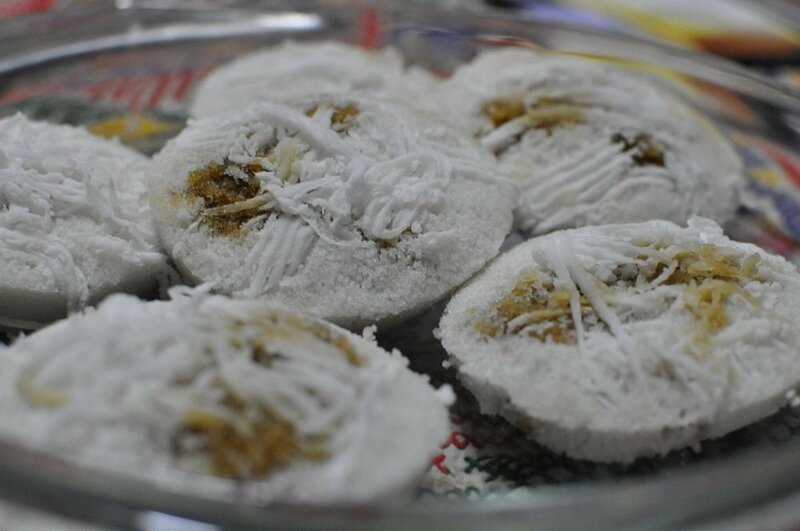 Pitha is the most popular snack from Assam; usually had for breakfast or with an evening cuppa. There are many types of pitha. They may be can be either sweet or savoury, fried, roasted or barbequed inside a hollow bamboo stem. The sweet Pitha is preferred over the salty one.This finger licking Assamese snack tastes best with Doi (curd) and gur. It's a light and tangy fish curry that is prepared with Ou Tenga ( Elephant Apple). The sour fruit brings out the subtle sour taste in this scrumptious dish. To enhance the flavour you can add a hint of fresh spices. This is a very popular Mizo snack sold in the streets, and served at home. 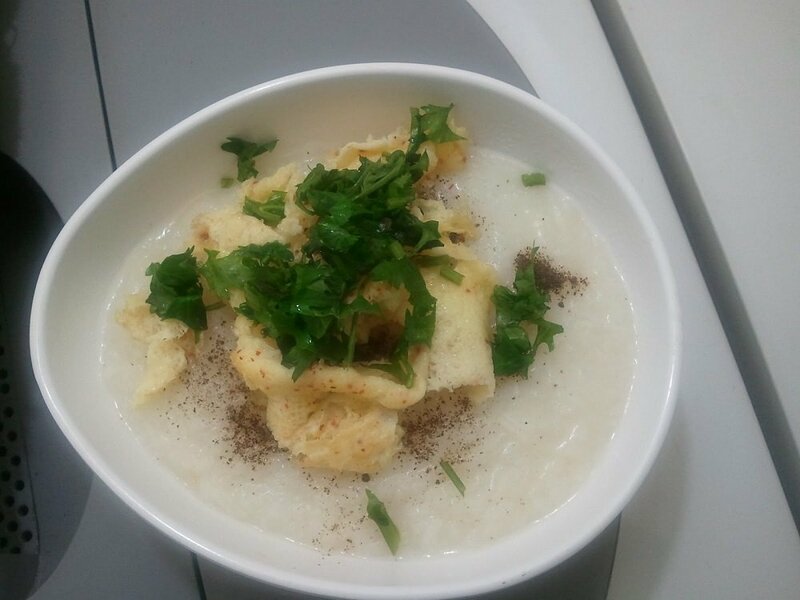 Prepared with rice porridge, it is served with fresh coriander paste, spring onions, crushed black pepper, zesty fish sauce and finely powdered rice. This chewy meaty dish will instantly make you drool. Prepared with seasoned and smoked pork, chillies and fresh leafy greens, it is a delicacy in Mizoram. Herbs used in the dish are garden-fresh and locally grown. Nagaland is famous for its pork, smoked the traditional way. It is crispy on the outside and juicy on the inside. It can be tossed dry with other ingredients or prepared into a curry with local flavours. 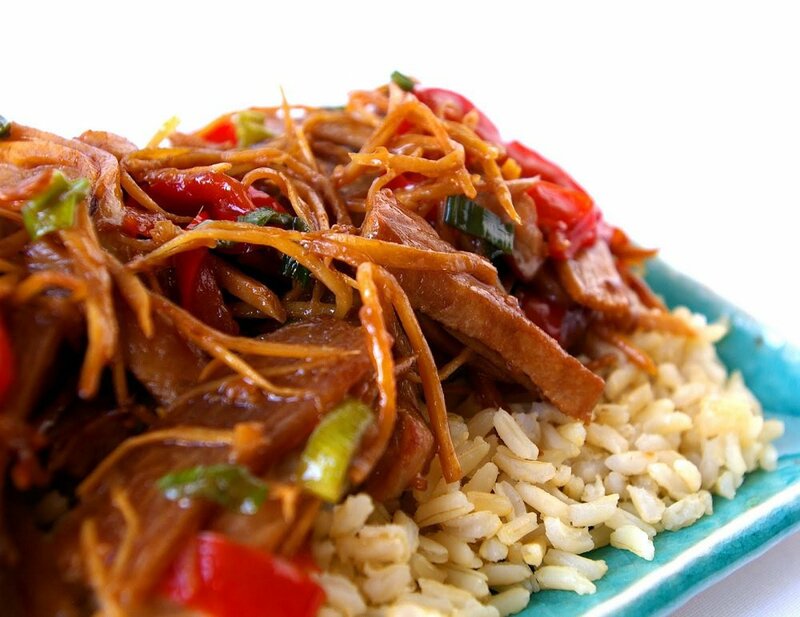 Smoked pork with Bamboo Shoot accelerates the taste of the dish and brings out an intense smokiness. 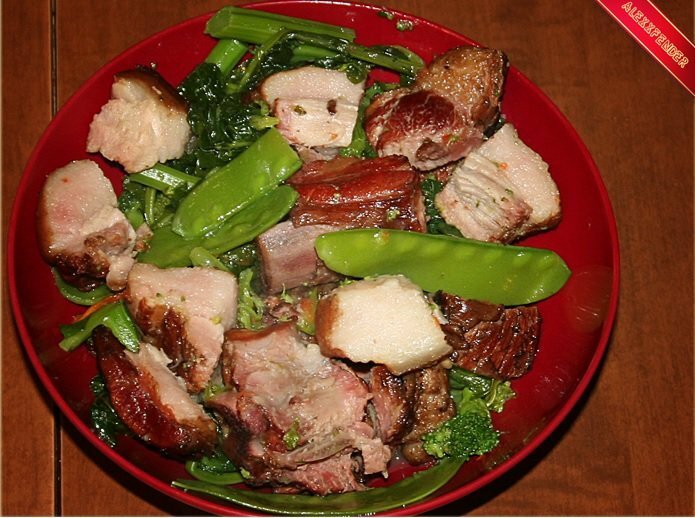 Pork with Akhuni ( piquant fermented soya bean ) or Anishi (fermented yam leaves) are other popular preparations. These dishes do not use too many spices. The only spicy accent is from Raja Mirchi: the spiciest chilli in the world. The perfectly cooked pork goes well with steamed rice. It can be enjoyed with a piquant dry fish chutney and boiled veggies on the side . 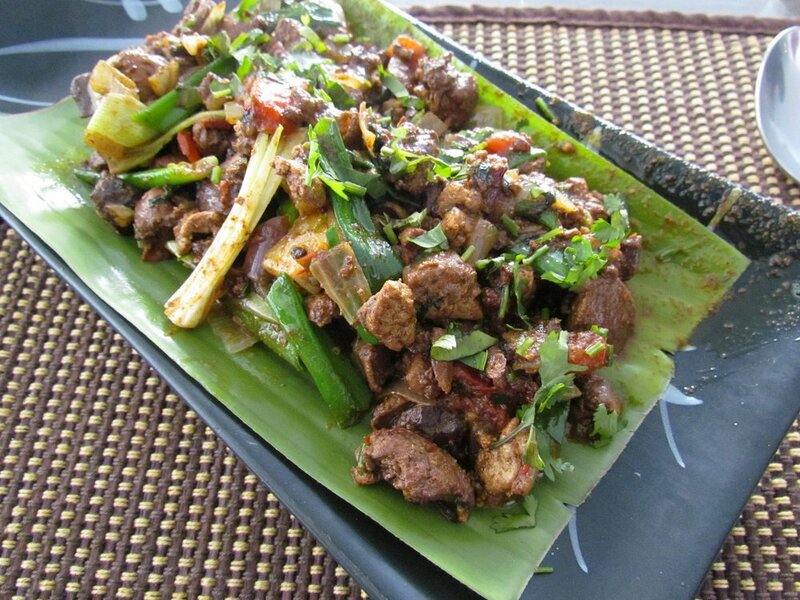 This dish is a speciality from Nagaland. The first bite might taste plain, but eventually you can savour the subtle hint of bamboo flavour. Fresh spices include Raja Mirchi. used in the dish enhances its flavour. 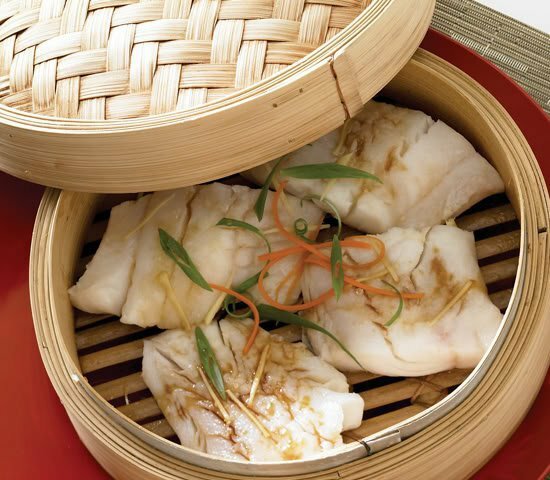 Bamboo Steamed Fish is best enjoyed with steamed rice. 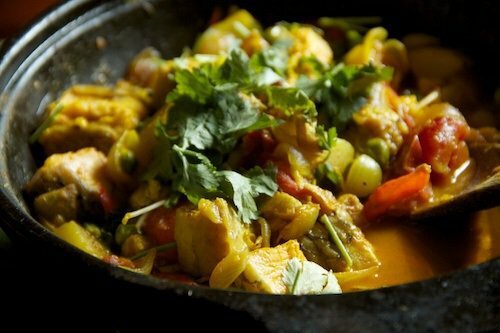 This is a hot pasty fish curry preparation where the delectable fish stew is cooked with boiled potatoes, fresh bay leaves, onion, cumin, chillies and chives. 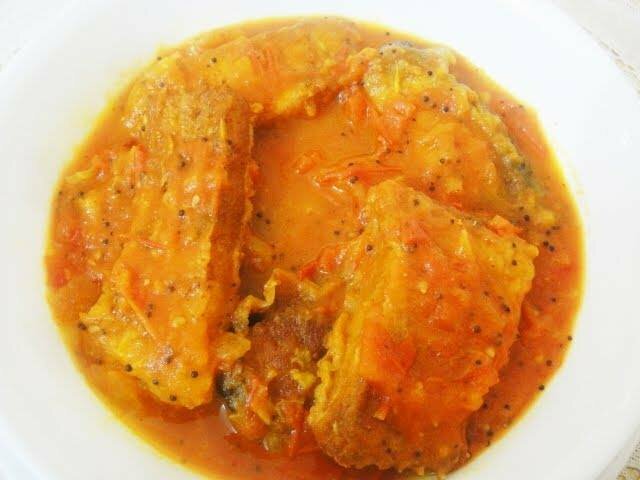 The fish in the stew gradually softens and all the wonderful flavours mix with the dish. This simple yet fabulous dish is prepared with fermented fish, mashed potatoes, fresh green leaves and blazing red chillies. The dish is marked by its strong and pungent taste, and is the lifeline of Manipuri cuisine. This must-have side dish can be relished with evening snacks. 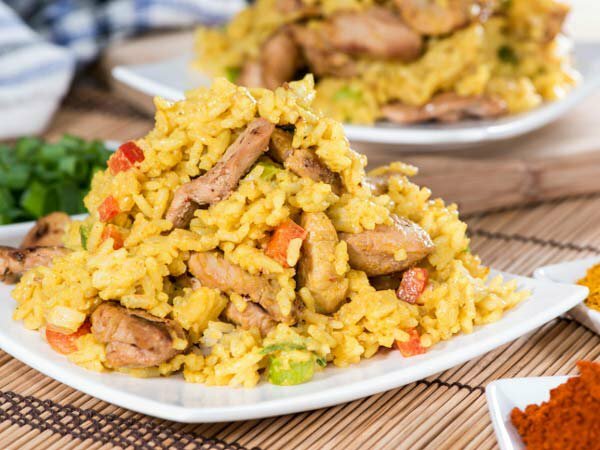 This exciting dish from Meghalaya is a luscious pork and rice-based Khasi delicacy. Prepared in minimum oil, it has a unique and aromatic taste. No ceremony is complete without this sumptuous dish. It is a dry fish paste or chutney . The impeccably charred fish is mixed with onions, green chillies and red chillies to bring out the fiery flavour. You can enjoy it with Jadoh and other Northeastern delicacies. 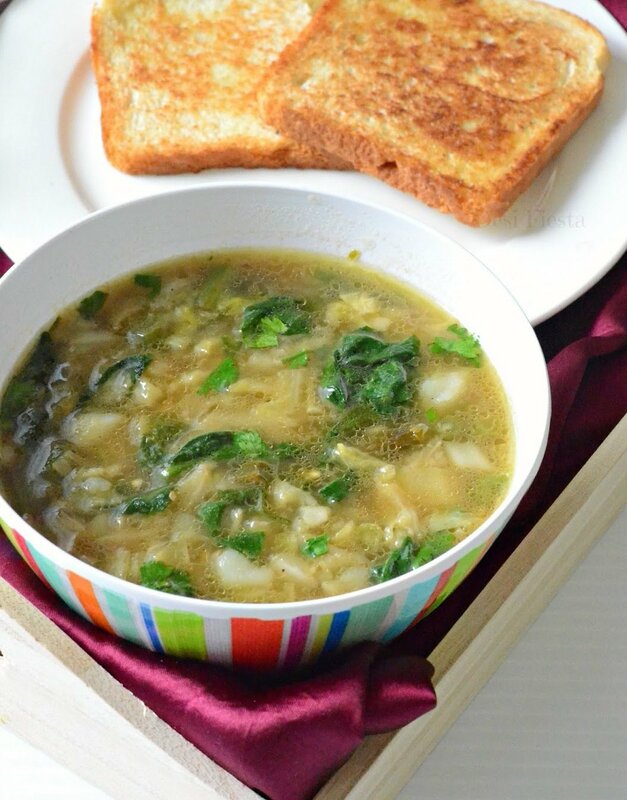 This flavourful Thukpa recipe from Sikkim is an Indian version of Tibetan noodle soup. This appetizing noodle-based steamy soup is very filling. Gyathuk goes well with or without meat. The natural and refreshing spices add to the flavour of this palatable dish. 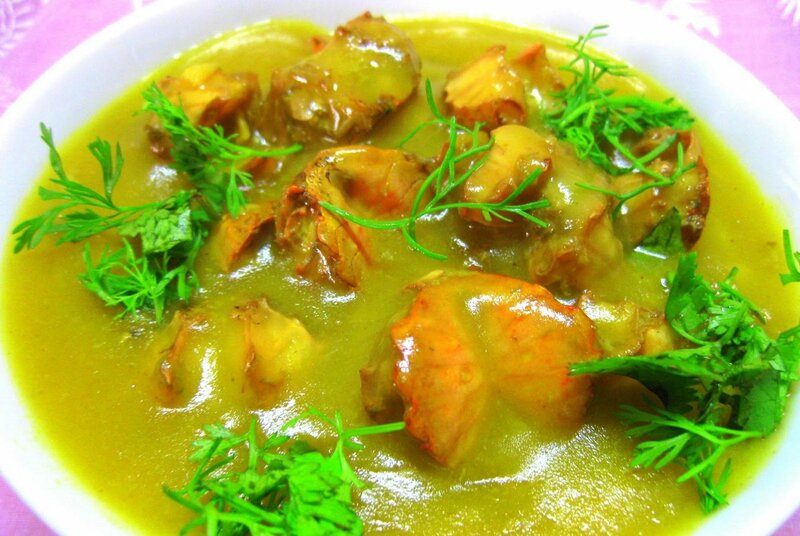 This dish is native to the state of Tripura. Made with stir fried bamboo shoots and sliced pork, this dish has a perfect balance of smokiness and lusciousness. The pork is cooked beautifully with a lit bit of moisture in every bite. This popular dish from Arunachal Pradesh is prepared with millet flour and boiling water. This appetizing spicy porridge can be enjoyed with green vegetables and charred meat. This stunning dish is a roller coaster of flavours. So, which of these 15 Northeastern delicacies are you planning to try out first?